I recently had the opportunity to take part in the Global Read Aloud this fall. It is facilitated annually by Pernille Ripp, a teacher in Madison, WI. Leading a group of 4th graders, we joined many other classrooms online who were also reading The One and Only Ivan by Katherine Applegate. It is the fictional story of a gorilla named Ivan in captivity for almost 30 years, told from the perspective of Ivan. It is loosely based on a true story (the real Ivan recently passed away). What was unique about this experience was technology was used to support and enhance the story as I read it to the students. Every classroom involved received a code to join The One and Only Ivan group on Edmodo, a safe social networking site for students and teachers. As you can see, it has a similar look to Facebook, which helped us make sense of how it worked regarding posts, links, tags and other terminology. We visited this site every time we read. However, we spent a lot more time actually reading than posting and responding. My purpose was to show students that social media can be a great tool for learning, as long as it is used responsibly. While we linked with other classrooms on Edmodo, we also created a KWL on Google Docs. 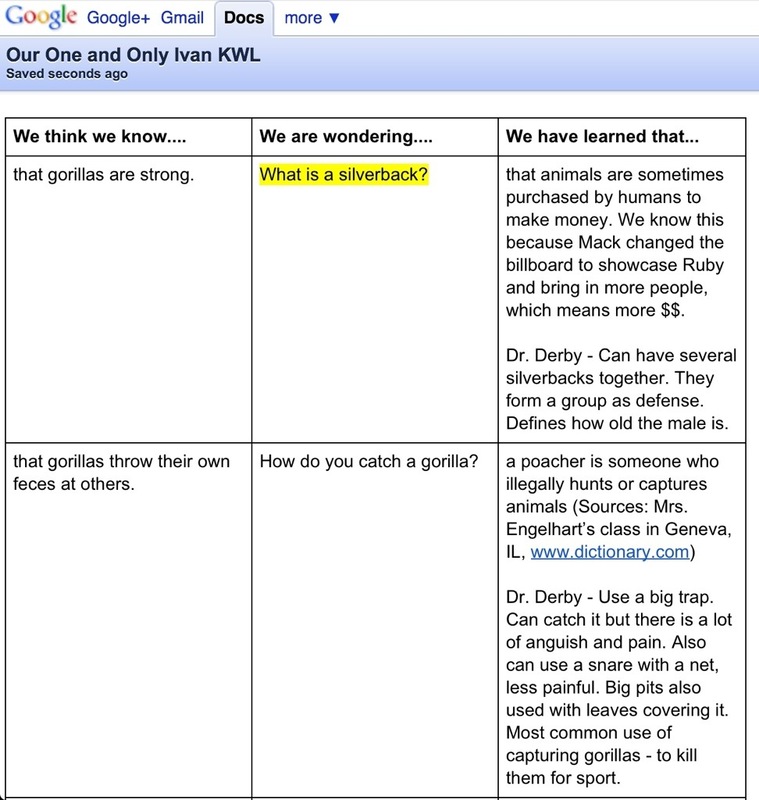 In it, students identified what they thought they already knew about gorillas, what they wanted to know, and what they had learned. I showed students how to bookmark this document in the browser so we could quickly go to it when needed. Yes, feces was something they wanted me to write down. Students developed an understanding through the use of a Google Doc that learning is not static, that it is ongoing for lifelong learners. For example, we would revise information once we learned that it was not entirely accurate. In addition, we were able to post our doc on Edmodo as a link to allow other classrooms to view it and even make comments if they wanted. One technology tool we discovered from another classroom through Edmodo was Wallwisher. This is a virtual paperboard, where people can post responses to a question or suggested topic. The question we posed to ourselves was, “Is it better for an animal who has lived in captivity to go back into the wild?” Here are their responses. I was impressed with how thoughtful and thorough their answers were to this question. What facilitated this impressive display: the technology, the question, or the book itself? It could be a combination of all of these that created a more authentic learning experience. Some people have a lawyer in the family. Others know a plumber. I have a primatologist. My cousin (pictured in the screenshot below) spent a substantial amount of time studying primates in the jungles of Africa. Now an environmental scientist at the Field Museum of Chicago, she wholeheartedly agreed to visit our classroom and answer questions about silverbacks through Skype. Prior to Skyping, I shared our questions with her by emailing our Google Doc link. She provided some excellent information for us, knowledge that we just could not have easily accessed without the aid of technology. The students also had an opportunity to ask her off-the-cuff questions, such as “Are you drinking coffee?” and “How did you get that Howe shirt?”. The Global Read Aloud was an excellent learning opportunity. It enhanced our read aloud experience and modeled for students how to draw upon a variety of resources and experiences in order to become more knowledgable and responsible citizens. The technology tools were great, but they only facilitated what was more important: The connections we made with other people from around the world. Thanks go to Mrs. Ripp for making this happen. Thank you. I have been over analyzing this…going to relax and just enjoy the book. It was a lot of fun. We took our learning based on the students’ interests. 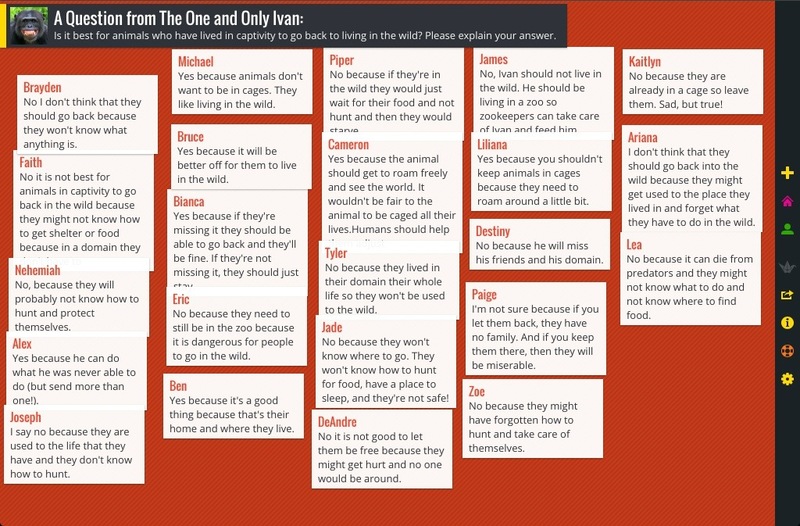 For example, when we read “The One and Only Ivan”, the 4th graders wanted to know what a claw-stick was. We asked other classrooms on Edmodo, and one group found an image of it. The Global Read Aloud provided for collaborative inquiry in a meaningful way. Thank you so much. I too have been stressing over this, but after reading your post I feel like I can make it work. Did you send home a letter to parents informing them of the project? We were thinking of something similar to a permission slip. Danielle, we have an online registration process. It asks parents to give permission to post photos and work of students online. However, we are very careful about what we post and how. In addition, teachers send home weekly newsletters about classroom activities. Parents are appreciative of this consistent communication. Great breakdown of the tools you used for GRA. We’re excited to help support GRA this year at Tackk and have created templates as a start point. Tackk is a tool to create simple pages on the web, and Tackk Stream (newly launched) is a fun and easy way to have a conversation using text, photos, video and more. If you have any thoughts or questions, please let me know! Hi, this will be my first year participating. Do you allow students to purchase/bring in their own copy of the read aloud? I know I’ll be doing the reading but I usually have some kids who benefit from following along. Just curious on your thoughts. Sure! Some kids like to see the text while it is read aloud to them. In fact, if the book is part of a series, students will finish the book on their own and start the second one. I just make sure they don’t share any spoilers. I am a first time participant of global read aloud. I plan to use the book in my 10th grade honors class. I was questioning whether I should use it with more than one class since it’s my first time using GRA. How do you handle students who say “I have already read the book.”? How do you get students to buy in to GRA? Do you allow students to do read aloud ? What are some strategies that you use to introduce and hook your students? Being your first time, Gloria, starting with one class might be smart. Could you poll your classes, and see which group would be the most interested? You might want to consider what you will give up instruction-wise that the other classes might gain if you read aloud to only one class. I never allowed my students to read aloud to the class on a regular basis. I was the best reader in the room. A book trailer video is a great way to introduce the book. With teenagers, maybe posing a controversial question related to the book’s theme and facilitating a debate could really spark some interest in the read aloud. 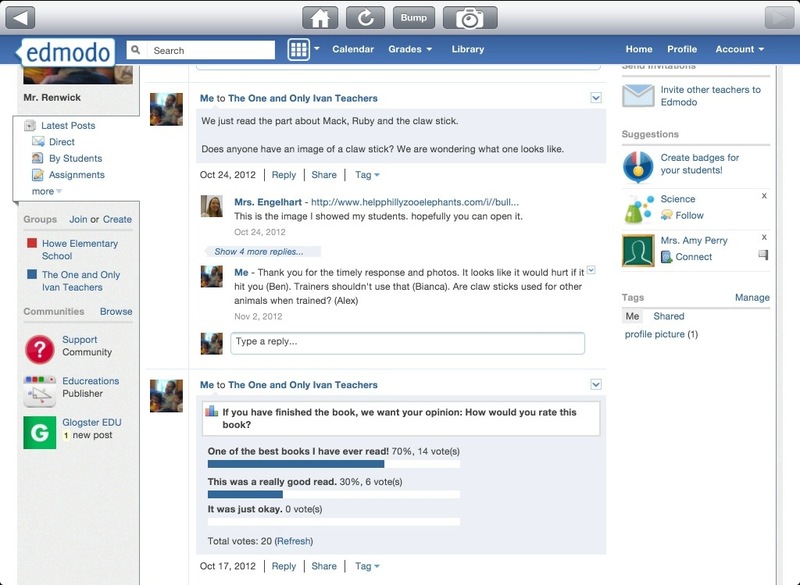 One final point: Make sure to connect with other classrooms via Edmodo and other social media. It really broadens the kids’ perspectives and helps them develop a more global perspective. Great blog post on how to participate in the Global Read Aloud!